This movie introduces climate change and weather at KS4 level and gets pupils thinking about different elements of the topic. To play full screen, click on the tab in the bottom right hand corner. This presentation demonstrates the five main factors that affect climate in the UK. It also includes maps demonstrating the changes in climate seen across the UK at different points in the year. This presentation highlights the three major types of rainfall, whilst looking at the pattern of rainfall seen across the UK. 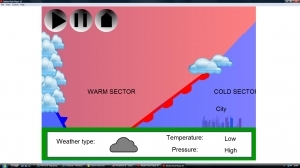 This presentation looks at the way in which depressions affect the weather in the UK. It includes animations. This animation of the cross section of a depression, shows the changes in weather and pressure that occur as a depression passes by. This simple animation show the path of a depression passing over the UK. The pause and go controls can be used to explain different parts of the depression. 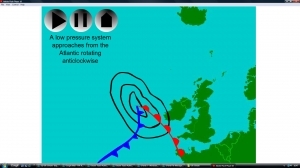 This presentation shows how anticyclones influence UK weather. It includes an animation showing how they approach the UK. 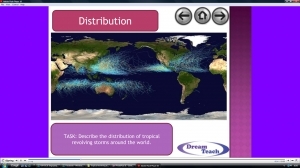 This presentation looks at tropical revolving storms. It focusses on the conditions needed for formation, their distribution and the effects that they bring. 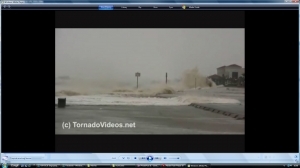 It6 includes some video footage. 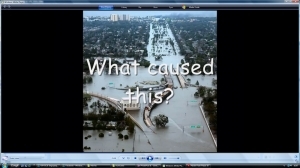 This presentation focusses on Hurricane Katrina, outlining the damage caused by the hurricane. It has a variety of questions for pupils to ponder. 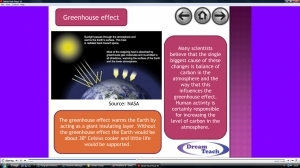 This presentation looks at the evidence for global climate change and what the causes may be. It includes questions for pupils to think about.